Intel has announced an updated range of solid state drives, all of which use the company's latest 3D NAND flash memory. 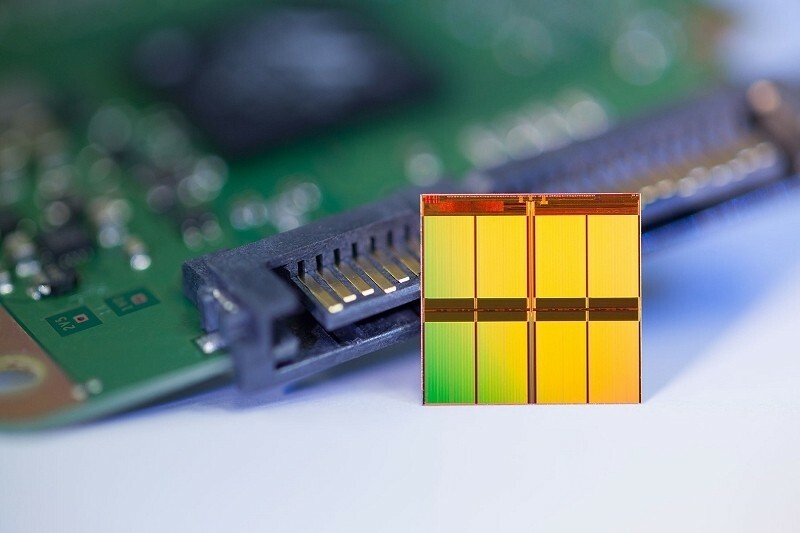 Depending on the market segment the drives are aimed at, these new SSDs use either MLC or TLC NAND, and come in form factors that include M.2 and 2.5-inch. The SSD line that is of most interest is the SSD 600p, which is targeting consumer applications. Using TLC NAND in an M.2 PCIe 3.0 x4 form factor, SSD 600p drives feature sequential read and write speeds up to 1800 MB/s and 560 MB/s respectively. Random performance is rated at 155k IOPS reads and 128k IOPS writes. Intel has also launched the Pro 6000p line, which is very similar to the 600p except for remote secure erasure support, which adds $10 to the price at any capacity. The other SSD lines featuring 3D NAND target IoT and data center applications. The M.2 PCIe E 6000p line brings slightly reduced performance compared to the 600p for embedded systems, while the E 5420s takes a further performance hit in 2.5" and M.2 SATA form factors. The new enterprise drives are the DC S3520 and DC P3520, the former of which is a mid-range line of 2.5" or M.2 SATA drives, and the latter brings high levels of performance to U.2 and PCIe x4 HHHL form factors. The majority of the new drives will be available starting next week, although some 1 TB capacities will go on sale in Q4 2016.